Jupiter Real estate Attorney (561) 745-3040 | Law Office of Richard S. Weinstein, P.A. Florida real estate law can be complex; however, Richard Weinstein’s experience and knowledge of real estate matters guides his clients through the process of selling and purchasing real estate. He handles both commercial and residential real estate matters, landlord and tenant disputes, issues with homeowners and condominium associations and all other aspects of real estate law. If you need assistance with a real estate transaction in Palm Beach County, Jupiter, or anywhere in South Florida, contact The Law Office of Richard S. Weinstein by calling 561-745-3040 or use our convenient online contact form. Issuing title insurance policies in order to protect purchasers and lenders from claims that could threaten the marketable title to their properties. In addition to performing all of the Florida real estate services of a title company, as attorneys, we can provide you with legal advice regarding matters that may arise during a real estate transaction. A title company cannot offer legal advice nor take legal action to correct a title defect or other problem. 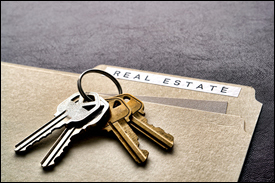 In addition to handling real estate transactions, our office represents property owners against foreclosure actions. The threat of real estate foreclosure can be devastating. We defend any foreclosure action on your behalf. In some cases, we may be able to delay the foreclosure sale to give you time to consider a bankruptcy filing to stop foreclosure or find a new place to live. If you are facing a foreclosure action or you have been served with foreclosure papers, contact our office immediately for a consultation. Contact The Law Office of Richard S. Weinstein by calling 561-745-3040 or use our convenient online contact form to inquire about all of our commercial and residential real estate services.